The SLATE team are heartbroken that we have to leave the Hillside Feel Good Café where we have served the tenants and folk of Beeston for the last 5 years. This will be take place on the 1/2/2019. 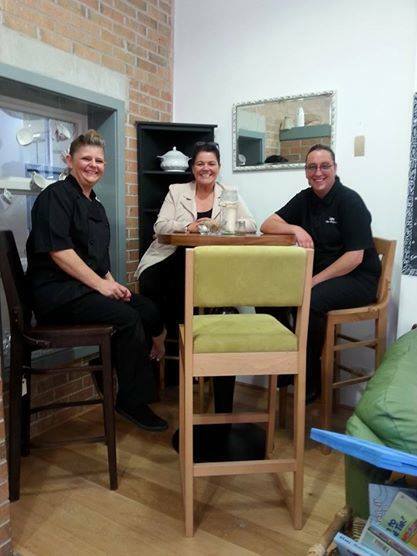 SLATE established the first Feel Good Cafe in 2012 to act as an inclusive environment to train and provide meaningful opportunities for adult’s with learning disabilities. Our cafe/tearooms serves a wide range of freshly cooked and affordable breakfasts, snacks, lunches, meals and afternoon tea. We also provide catering and meeting room refreshments for the Hillside Development Centre and can cater for your event/party. Please call us on 0113 3876321 for more information. In 2017 we opened our second side at The Old Fire Station in Gipton please see link above for menu.